Sibelius’ suite begins at 57:45; Walton’s interpretation at 1:18:36. 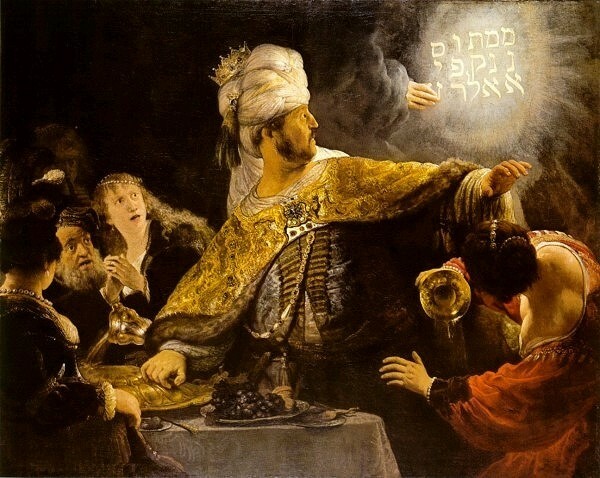 The Biblical tale of Belshazzar’s Feast, where the downfall of Babylon is predicted by a human hand writing on the wall during a lavish party, inspired three very different responses. The first, from Handel in 1744, took the form of a large scale sacred piece, but the second half of this Prom threw together two very different responses by twentieth century composers. Sibelius wrote a score of ten scenes, condensing it into a suite of four for concert performance. It finds the composer in typically economic form, though it is a surprise to note the exotic Oriental Procession, colourfully rendered by Sakari Oramo and the BBC Symphony Orchestra. The Finnish conductor is an expert in this music, and found the emotional depths of the stark Solitude and the emotive Nocturne, where flautist Michael Cox spun a delectable web of notes. The finale, Khadra’s Dance, signed off in typical style. Walton, on the other hand, throws everything at his 35-minute tale, including the whole story in a choral dramatisation that at times threatened to take the roof off the Royal Albert Hall. With 256 singers (give or take one or two on the naked eye count from the Arena!) this was a massive scale on which to play out the story, and Christopher Maltman did a sterling job in the baritone solo role. The chorus were the stars, though, and the combined forces of the BBC Singers, the BBC Symphony Chorus and the BBC National Chorus of Wales were absolutely superb; hair-raising, even. Their shout of “SLAIN!” when Belshazzar finally perished was terrifying. No less chilling was the macabre percussion used when the hand appears. Yet the epic climax of the piece, with Babylon’s redemption trumping the empty jubilation of the feast, was the crowning glory. 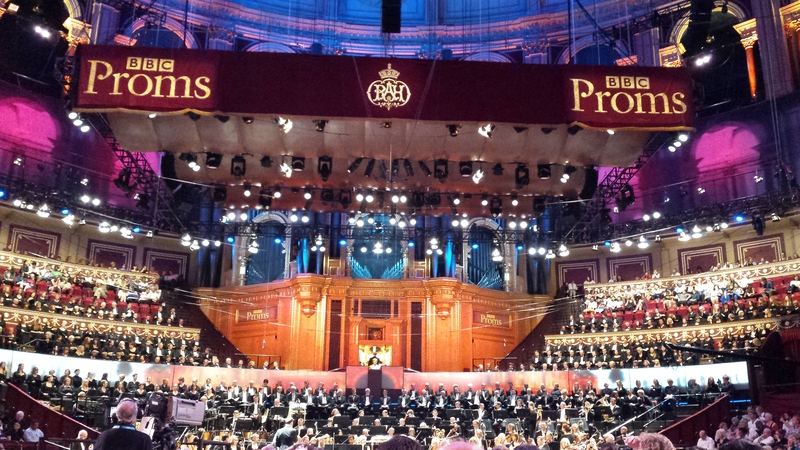 Brilliantly marshalled by Oramo and superbly sung by the assembled BBC National Chorus of Wales, BBC Singers and BBC Symphony Chorus, this was a piece to fire the starting gun on the 2015 Proms with maximum power. Here’s to the next 75! This entry was posted in BBC Proms and tagged BBC National Chorus of Wales, BBC Proms, BBC Singers, BBC Symphony Chorus, BBC Symphony Orchestra, Christopher Maltman, Jean Sibelius, Royal Albert Hall, Sakari Oramo, William Walton by arcanafm. Bookmark the permalink.